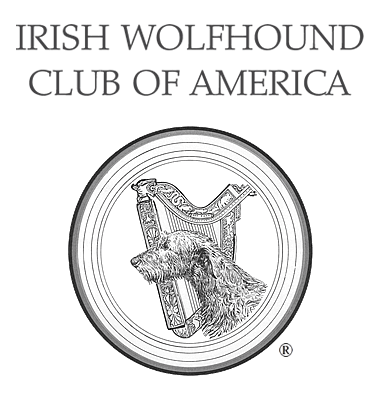 New AKC Titles for Irish Wolfhounds - Irish Wolfhound Club of America, Inc. Here you will find new Titles of Record for Irish Wolfhounds achieving titles in AKC conformation, obedience, rally and performance events, as published in AKC's monthly reports. According to the AKC, ** adjacent to a hound's name indicates Bred by Exhibitor Award. The titles are listed by the month in which they were published, which might be the month in which they were earned or a bit later. Should you have questions, the Internet Committee gladly will review the source documents that were used for transcription of this data into the website. However, if you feel that the AKC has inadvertently omitted a hound’s mention or a title shown is incorrect, owners should contact AKC to request a correction in a future monthly Titles of Record report. Once that update has been received from the AKC, this online record will be corrected. Congratulations to all on these special achievements.